Want to be able to use your Victor Stream with confidence? This friendly, comprehensive audio tutorial takes you step-by-step through the many features, functions and content types available on the Stream. Over eight hours of professionally produced content. 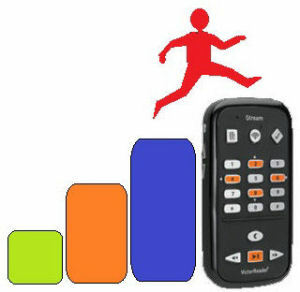 Part Four of the tutorial is specifically devoted to the Humanware companion software. Whether you’ve always wanted to learn to use this program in conjunction with your Stream, or are just now discovering the Companion and how it may enhance your personal Stream experience, this section examines the many benefits and conveniences of this software tool. 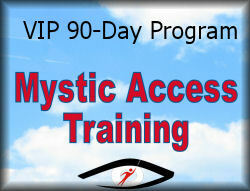 Mystic Access realizes that sometimes the act of learning your asistive technology is not enough. We know that you may also be in need of discovering self-empowerment for your journey. That’s why we include our inspiring “Encouragement Corner” and “Now It’s Your Turn” sections. These allow you to build self-confidence and self-motivation, and become more proactive in the use of your assistive technology. We want you to enjoy your learning adventure, and these portions of the tutorial will hopefully make doing so easier and more fun. The tutorial may be downloaded in two formats. The first is as a fully-navigable DAISY audio book. This DAISY version of the tutorial can be played in the $VRDB folder of your Stream, or in any other device or software that can play DAISY files. You may also download the tutorial as a series of MP3 files, and play it on any device that supports MP3 playback. Please note that if using the MP3 version of the tutorial, there will be far less navigation available to you as you move through the tutorial. Please click on the player below to listen to the Stream tutorial’s full introduction and table of contents.